“The testimonies touched my heart…I experienced many joyful moments which moved me to tears.” This was one of the many 2013 Annual Conference evaluation comments expressing appreciation for the “Telling Our Stories” feature during the June meeting. Becky Jordan was one of the many storytellers who described their journeys on becoming disciples of Jesus Christ during the Annual Conference in June. Click here to view Becky Jordan’s story. 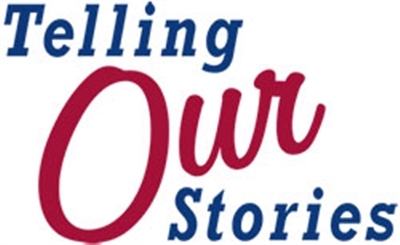 There were many other stories submitted and told, including videos and written testimonies, and they will be shared on our Telling Our Stories web page. All the in-person testimonies from Annual Conference were videotaped, and they will be posted, as well. “When the conference launched Telling Our Stories this past spring, we expected to receive many more stories than could be told during the June session,” said Gretchen Hastings, director of connectional relations. “At that time, Bishop Carter announced that the conference would create a website home for Telling Our Stories and would continue to publish written or video stories about becoming disciples of Jesus Christ. The web page can be found by clicking on the Telling Our Stories logo at the bottom of the Conference home page. As they are published, the stories will be maintained in an archive so they can be accessed at any time. Please submit a digital headshot photo, if possible. If you know someone in your church who has a great story to tell, please encourage them to share it with others.